This video show you how to survive a terrorist or active shooter massacre in public places. This program was produced by using two individuals that did not have any experience with martial arts, law enforcement, security or military. 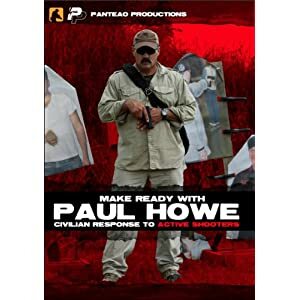 The goal of this program was to prove that, with proper training, anyone can be trained to deal successfully with a dire mass killing situation. The program is instructed by Mr. Doron Benbenisty. Mr. Benbenisty is an internationally recognized counter terrorism and severe crime expert. He has over 25 years of experience in the fields of terrorism and crime. Mr. Benbenisty is a former Israeli Special Forces expert bringing his unique experience from Israel on how to deal successfully with active shooters and other massacre events. When sold by Amazon.com, this product is manufactured on demand using DVD-R recordable media. Amazon.com’s standard return policy will apply.